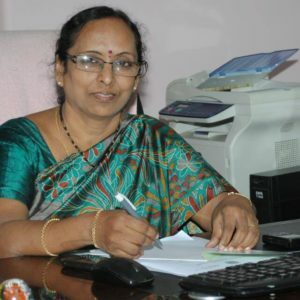 Dr I. Santi Prabha is Professor of ECE Department and Chairman, Board of Studies, JNTUK, Kakinada. She did her B.Tech & M.Tech with specialization in Instrumentation and Control Systems from JNTU College of engineering, Kakinada. She was awarded with Ph.D in Speech signal processing from Jawaharlal Nehru Technological University Hyderabad in 2005. Her research areas include Signal/Image processing, and Communications. She has 33 years experience of teaching to UG and PG classes. She has produced three Ph.D. degree holders and guiding 10 Ph.D scholars. She has guided more than 100 M.Tech. Projects. She is a senior member of IEEE, member of Indian Society for Technical Education, Fellow member of The Institution of Electronics and Telecommunication Engineers and Fellow in Institution of Engineers (India). She published more than 100 technical papers in National and International journals and conferences.